For those people that prefer a budget handset over a hight-end smartphone, and who prefer Nokia devices, Nokia has now revealed their new range of budget orientated handsets called the Nokia 1 Series, which will be targeted towards the ‘Next Billion’ audience, and we have a couple of videos for your viewing consideration below showing the new Nokia 1 Series phones. According to the guys over at Slash Gear, there are currently four budget handsets in the Nokia 1 Series of devices, the Nokia 110, the Nokia 111, Nokia 112 and the Nokia 113, with videos of the Nokia 110 and Nokia 112 below. The cheapest handset in the line is the Nokia 110, which will command an unsubsidised price tag of 35 Euros, approx $45, a dual SIM device, whilst the Nokia 111 is the single SIM version, and the Nokia 112 is another dual SIM handset while the Nokia 113 is the single SIM version and will command a price tag of 38 Euros, about $49 a pop. Apparently the Nokia 1 Series of devices have a 1.8-inch display, FM radio, Bluetooth, a VGA camera, microSD expansion up to 32GB and a battery that is said to deliver up to 10-hours of talk time and up to 1-month of standby time, along with the Nokia browser that pares back websites to suit mobile devices, eBuddy IM app pre-installed, access to the Nokia Store, and Twitter and Facebook short cuts on the home screen. Furthermore, with the Nokia 1 Series, the company will offer 40 free games including Need for Speed: The Run, SimCity Deluxe, Tetris, Monopoly Here & Now and Bejeweled. Apparently the Nokia 110 and Nokia 111 will start shipping in Q2 whilst the Nokia 112 and Nokia 113 will start shipping on Q3, whilst the Nokia 113 will only become available in Eurasia and Europe. So, if you are one of the budget minded handset users out there do any of the Nokia 1 Series appeal to you? I love the 112 keypad as well as the long battery life I can’t wait to see if it becomes available in Britain,but knowing my luck all we will get is smart phones. 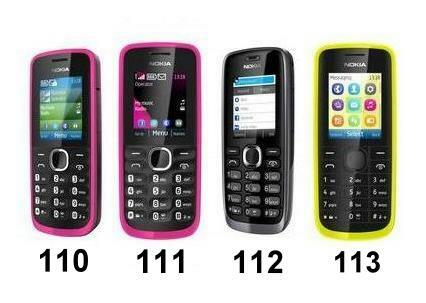 i like nokia 112 because of its high tech features..Can’t wait to see it in the Philippines..